Springtime is here! Stable and dry conditions are with us with the start of the season, along with light winds. Trade winds will return and build on Thursday and Friday ahead of a cold front. 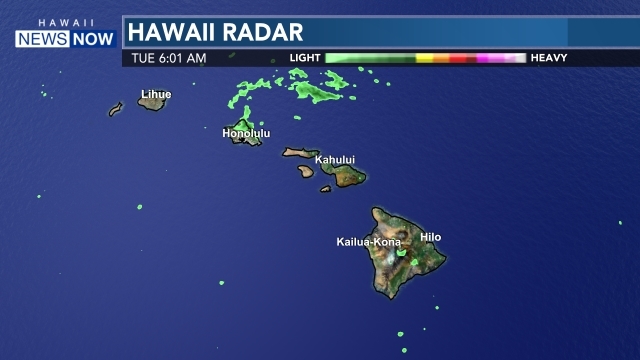 The front is forecast to stall short of the islands, but it will be close enough to bring in more clouds and showers for the weekend, along with locally windy conditions. Showers will be focused on windward areas, but the winds could carry some of the moisture leeward. 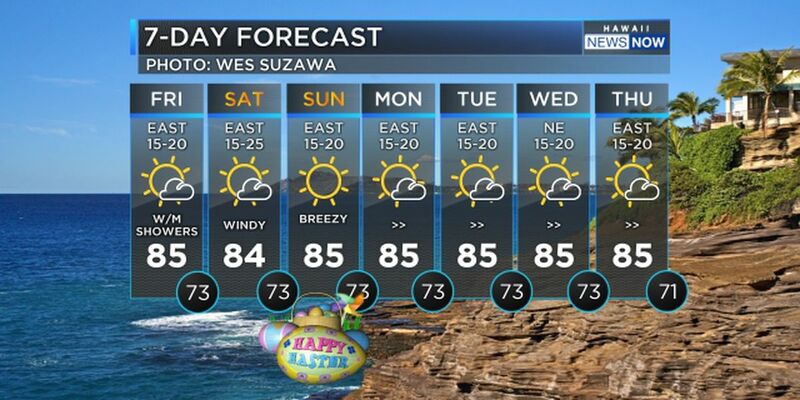 A wet trade wind pattern is expected for Monday and Tuesday. A high surf advisory is posted for the north and west shores of Niihau, Kauai, Oahu and Molokai and the north shores of Maui until 6 am. Friday. Surf is forecast to reach 15 to 20 feet for north shores and 10 to 14 feet for west shores through Thursday night. Another reinforcing swell is expected Friday into Friday night, followed by another swell on Sunday. Surf for east shores will also likely build over the next few days with the increasing trade winds. A small craft advisory may also be posted Thursday as the winds pick up.